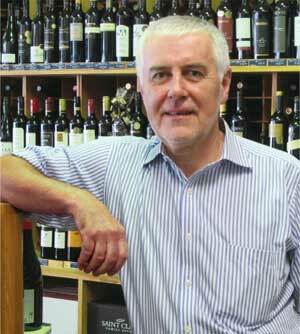 Since 1999 First Glass has firmly established a reputation as one of New Zealand's leading fine wine stores. Wine tastings are an integral part of the store's success and in addition to the country's most popular weekly wine evening, First Glass has a very comprehensive wine range and is proud to say it has "world class wines at competitive prices". How we buy wine and why it matters? First Glass is regarded as one of Auckland's best wine stores – our success is based on our loyal customers who keep coming back, in the knowledge that the wines we sell will always meet or exceed the quality for their price. We have the most rigorous selection process for buying wine in New Zealand. We taste virtually every wine we sell in many ways. Wines are assessed by our staff that include senior and international wine judges and importantly often by the public. First Glass customers have the opportunity to try many wines either from the in-store tasting table or at the weekly Wednesday Wine Tasting. At this popular evening all wines are tasted blind to remove the influence of the wine label or price. This is where we showcase many wines we are considering to buy. If a wine is not liked, or is not up to standard, it's not stocked, regardless of the wines 'name' or the 'deal' we have been offered. Unlike many other retailers & online shops we turn down price deals all the time – in wine, a cheap buy in isn't always a good buy. Kingsley Wood’s passion for wine has spanned over 30 years. Recognised as one of New Zealand's most experienced wine professionals he has been National Wine Manager for DB Group and was convenor of the Liquorland Top 100 wine competition for 11 years. In 2005 Kingsley created the New Zealand International Wine Show, now New Zealand's largest wine competition. If you need advice on any of our wines, the state of the wine industry or the nation’s rugby teams, Kingsley will help you out. 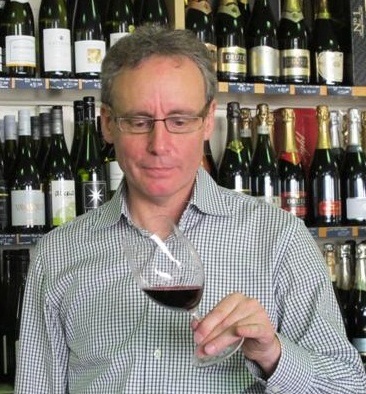 Andrew Rawlin’s career in wine began as a student looking for part time work to finance a Commerce degree at Auckland University. Andrew worked part time in various liquor retail outlets before joining Villa Maria full time in Mangere as a Cellar Shop Assistant in 2001. In 2009 he joined First Glass Wines & Spirits as Retail Manager. Andrew says it's great being independent, being able to pick and choose the wines you sell and being amongst people who love wine.